We need the community’s assistance in locating a suspicious person. The Washington County Sheriff’s Office has already received numerous reports from throughout the Washington County area. The suspicious person is described as a heavy set male with white hair and a white beard, wearing a red suit, matching hat and black boots. 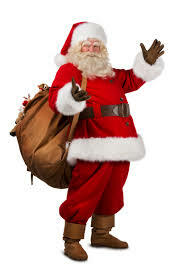 The male is also carrying a large red bag filled with gifts. The male was last seen driving a sleigh pulled by 8 tiny reindeer. A citizen reported hearing the male calling out “Merry Christmas to all and to all a good night”. From all of us at the Washington County Sheriff’s Office, Have a Safe and Merry Christmas!